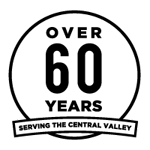 The Frame Maker has proudly served California’s central valley for over 60 years. Established by local artist Tom Mott in 1951, the Frame Maker has passed the art of quality picture framing from generation to generation. We take pride in our legacy as Fresno's premier picture framer and make it our mark of excellence that we continue this tradition each time a customer enters our shop. We believe that the quality of our framing services starts with sourcing the highest quality materials to work with. We source frames, mats, liners and even our glass from premium sources which provides our customers the highest caliber of choices at all price points. Visit the links below to view our top selling companies.